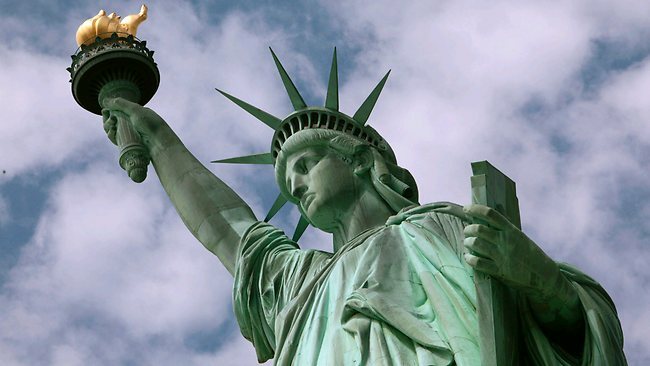 The Statue of Liberty will close down for a big renovation project. The renovation project will begin on October 29th, one day after the monument’s 125th anniversary. The renovation will cost at least $27 million. The goal of the Statue of Liberty renovation project is to make the inside of the Statue of Liberty safer and more accessible for the public. Liberty Island will remain open during the renovation. New York Times – After the 9/11 attacks, the federal government closed the Statue of Liberty National Monument, the symbol of a nation’s dreams and one of the city’s best-known and most-visited tourist attractions. Huff Porst – The Statue of Liberty will close for a year at the end of October as it undergoes a $27.25 million renovation that will make the interior safer and more accessible, U.S. Secretary of the Interior Ken Salazar announced.